2019-2020 AA Coaching Applications are now open . 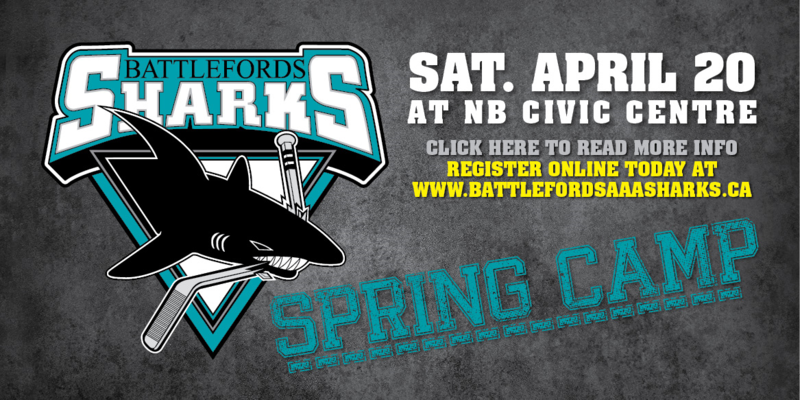 Sharks Spring Camp Saturday April 20th . Battlefords Minor Hockey Annual Spring Meeting . Tuesday April 30th Room # 107 Don Ross 7pm . Registration for the 2018-2019 Season is CLOSED !